Landau and Urbane scrubs pages have been updated by Pulse Uniform in order to give better shopping experience and showcase new products from these brand makers. Customers need not worry much since we still maintain the free shipping offer on all orders above $39.99 and we are also having the end of season sale where they can get as much as 55% off on selected nursing uniforms. 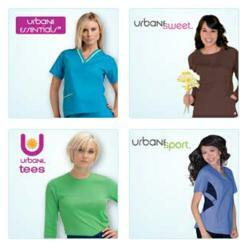 Since Pulse Uniform included Landau scrubs and Urbane scrubs in its inventory, both brands have consistently been one of the best sellers. Well-loved by healthcare professionals who adore stylish and functional nursing uniforms both Landau and Urbane scrubs continue to evolve and get better. In fact, Landau scrubs came up with five reasons they are made better. And so both these brands being manufactured by one vendor continue to come up with nursing uniforms that any healthcare professional would love to have on their wardrobe. The new pages of landau and Urbane scrubs would ensure that customers have an easier time finding these nursing uniforms. She continues that a lot of effort has been put in making sure that customers are 100 percent satisfied with their purchases. And it all starts with how easy it is for them to look for the scrubs they really want especially with their busy schedule. They cannot stay long online and knowing where to go and not getting lost while shopping for the Landau or Urbane scrubs they need is a huge help. “Of course, we also make sure that our customer support is always at hand to help in case someone has inquiries or issues. Aside from the new pages, customers will also be happy to note that the inventory of both Landau and Urbane scrubs has been updated. New collections and items of nursing uniforms have been added just in time for spring. Customers need not worry much since we still maintain the free shipping offer on all orders above $39.99 and we are also having the end of season sale where they can get as much as 55% off on selected nursing uniforms,” says Ann. For more information, give Pulse Uniform a call at their customer service hotline at 1.866.967.85.73 or visit their website and click on online chat. Channel your queries too through email by keying info(at)pulseuniform(dot)com. Subscribe to Pulse Uniform’s newsletter to get updates or visit their Facebook page at http://www.facebook.com/pulse.scrubs to share experiences and direct suggestions and recommendations.